Welcome to Merge Jet 2019. Unlike ordinary planes games, merge jet offers a simple yet exciting gameplay. 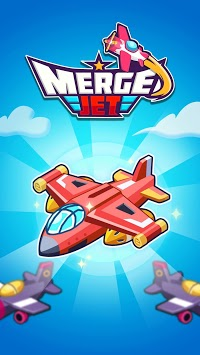 Merge Jet is a new style idle tycoon game planes. 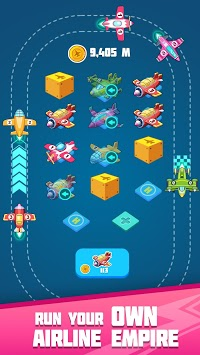 In this merge idle game, you will unlock new planes by pairing the old planes, merge all planes, upgrading to a more unique aircraft. Each type of planes will have a unique feature and correspond to a certain coin value. Owning more high-end aircraft, you will earn more coins. Merchandising aircraft, upgrading planes, making money and owning diamonds has never been so exciting as in this free game. Start creating your airport today. Owning your own planes and flight has never been so fun and simple. Merge Jet is everything you need to run and upgrade an airport or planes. 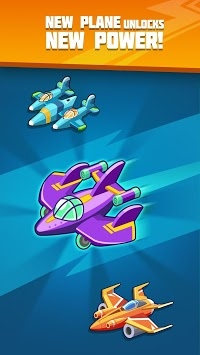 Download Merge Jet now to play free idle merge games idle tycoon and click. Do not forget to share the merge games with your friends to unite and upgrade your aircraft. Update new version of Merge Jet 2019 and enjoy the funny game!